Watching your dog have a seizure can be quite scary. You usually have no idea what to do if this is your first experience with seizures in dogs. 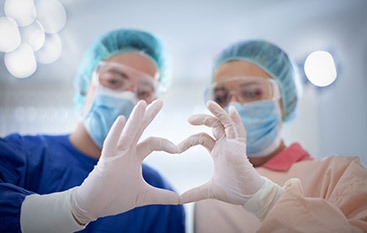 After the episode is over, you schedule an appointment with your veterinarian who suggests you see a vet specialist, particularly a veterinary neurologist who specializes in the neurological systems of animals. Your primary vet emphasizes the importance of the proper diagnosis for overall treatment and health of your pet as there are different types of seizures dogs can have. Veterinary Neurology and Imaging of the Chesapeake in Annapolis have some of the most experienced veterinary neurologists in the country. Our compassionate and caring veterinary neurologists will diagnose and treat disorders of the neurological system in your pet. We treat dogs, cats, and other animals. Contact us today for more information. WHAT IS A SEIZURE IN DOGS? If you’re like most people, you didn’t even realize there were different types of seizures in dogs. It’s important to get the correct diagnosis for the most effective treatment plan going forward. A seizure is usually a sudden, uncontrolled electrical impulse in the brain. Normal brain function is temporarily interrupted and muscles are activated. When dogs are seizing, they usually flop to the floor and thrash around and are unconsciously aware of the seizure. 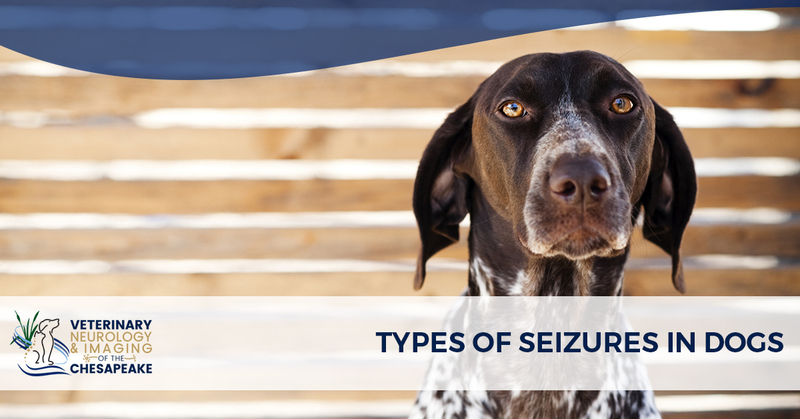 WHAT ARE THE DIFFERENT TYPES OF SEIZURES IN DOGS? Generalized seizure or grand mal seizure. These are the most common types of seizures in dogs. A dog can lose consciousness and convulse and these last anywhere from a few seconds to a few minutes. The disturbance of the seizure occurs in all parts of the brain. Focal or partial seizures. This type of seizure in dogs occurs in only one section of the brain, resulting in only one part of the dog’s body having a seizure. These last only a few seconds but can turn into a generalized seizure. Psychomotor seizure. This type of seizure in dogs involves strange behavior that only lasts a couple of minutes. This type of seizure in dogs exhibits itself when your dog suddenly attacks its tail or an unseen object. These seizures in dogs can be difficult to detect; however, your dog does the same motor sequence every episode. Idiopathic epilepsy. When a seizure cannot be classified, it’s called an idiopathic seizure (similar to idiopathic head tremors we discussed in our last blog post). Don’t panic. Seizures are not painful to dogs, although they may be uncomfortable. Don’t put anything in your dog’s mouth. Dogs do not swallow their tongues during a seizure. Putting something in your dog’s mouth can harm the dog. Clear the area around the dog. Make sure your dog is not about to cause harm to himself or herself by falling down a nearby stairwell or by falling onto anything sharp or hazardous. Make an appointment with your general veterinarian. He or she will examine your dog, update recent history, perform a physical exam and may do a blood test. These preliminary tests will rule out common disorders of the liver, kidneys, and heart as well as eliminate heartworm concerns. If all of these tests come back clean, then a referral to a specialist such as the veterinary neurologists of Veterinary Neurologist and Imaging of the Chesapeake may be in order. IS THE LIFE OF MY DOG THREATENED BY SEIZURES? A cluster seizure is not a type of seizure but the name given to an episode lasting for over 5 minutes (also known as status epilepticus). If your dog has a prolonged seizure, it is vital you get your dog to an emergency veterinarian immediately. Cluster seizures can cause the temperature of your dog to rise to dangerous levels, which can lead to brain damage. A veterinary neurologist specializes in disorders of the central nervous system in pets. He or she has an array of tools at his or her hands and a vast amount of in-depth knowledge and experience to call upon when treating your dog. Here at Veterinary Neurologist and Imaging of the Chesapeake, we use MRIs, which give us an image of the brain based on chemical makeup, radiofrequency, and magnetic waves. We also do spinal taps (CSF tap), which take a bit of cerebrospinal fluid for testing to give us more information on the microscopic environment of the central nervous system. We may use these tools as well as other diagnostic processes to rule out causes and conditions to help us determine the cause of seizures in your pet. As we have mentioned above, if the seizure is classified as an idiopathic seizure, we might not be able to determine the cause. However, we can still treat the symptoms. 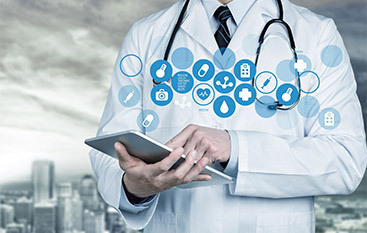 We can prescribe medications to curtail and/or end the seizures, depending on the diagnosis. Known as anticonvulsants, this medication, once given, must be continued for life as going off the medication can lead to more severe seizures than before. 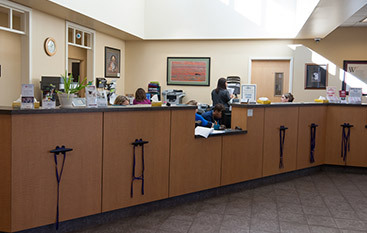 You can rest assured the veterinary neurologists at Veterinary Neurologist and Imaging of the Chesapeake located in Annapolis, Maryland, have your dog’s best interest at heart. Both in diagnosing and in treatment, we believe less is more. We won’t prescribe any treatment or order any testing unnecessarily. We understand the stress animals often go through when visiting a veterinarian, especially a veterinarian specialist who the dog is not familiar with. Our mission is to treat your dog as easily as possible — both for you and for your beloved dog. With compassion and caring, our staff will answer all of your questions and walk you through our process. We exist to make your dog’s life as happy and healthy as possible. Contact us today for more information!